Each day brings with it a new viral video that has taken the internet by storm seemingly overnight. Some of the most popular viral videos are responsible for having made common everyday Joes instant celebrities. Millions of people view, like, and share visual content every day. Videos have become a ubiquitous mainstay in the online world. If you’re not integrating videos and visual content into your corporate marketing strategy, you’re missing out on a huge chance of connecting with your target audience on a deeper level. But how do you create a corporate video that doesn’t seem like a gimmicky ad and still manages to deliver your message to the audience? 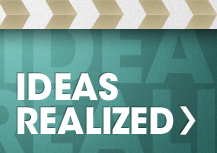 Here are a few conceptual formats on which you can base your next corporate video. The how-to video concept is an informational one which automatically makes it more likely to come up higher in a search engine ranking than other types of videos. How-to videos are of immediate relevance to the customer who has searched for them and yet, they can also be directly related to the product or service you’re offering. For example, if you sell makeup products, how-to beauty tutorials will bring you more web traffic. 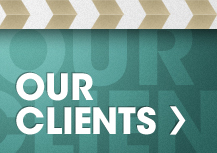 A lot of websites have a testimonial page that lists all the reviews of past clients. While textual testimonials are well and good, attaching a face to that review is likely to make it more believable and relatable. 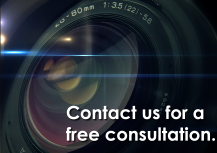 Testimonial videos will better help prospective clients decide on doing business with you. Similar to testimonial videos, user-created content is one that’s uploaded to a website by the consumers themselves. Major media sites such as FOX and CNN have pages dedicated to user-reporting and user uploaded clips; consumers tend to respond more favorably toward them than corporate produced content. An engaging short story with an interesting storyline is bound to catch the interest of viewers. Plot-based videos are an effective way of not only capturing the audience’s attention by engaging their emotions; it’s also a clever way of subtly getting your message across without it being too obvious. Stories help people connect more effectively and immediately to a brand. While regular videos have constraints, with animation videos, the possibilities are endless. You can accomplish impressive visual feats that just wouldn’t be possible with a traditional video. Incorporating animation into your corporate video strategy opens up more horizons. With the social media playing a huge role in shaping public perception, short clips known as vines that are readily shared across multiple platforms are a must. These small clips are an effective and fun way of engaging to the younger demographic and a uniquely creative way of showcasing your brand. Visual content production is best done right with the aid of a professional crew. Make corporate videos that increase your online presence with the help of 336 Productions. 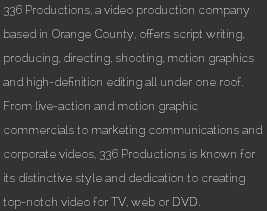 We’re a video production company based in Orange County and can bring your ideas to life.